The Academy for Chief Executives, the UK’s leading executive coaching and mentoring organisation, reaches an important milestone today with the launch of a new group in Scotland. 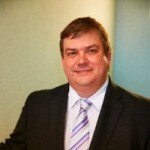 At the helm of this new group is Academy for Chief Executives Scotland Chair Justin Grace, a former MD who brings with him 20 years of international board level experience, a passion for developing people and transforming businesses, and a strong track record in growing individuals as well as the bottom line. Justin will hold his very first discovery event in Glasgow on 28 July. World class speaker Roger Harrop will talk on the subject of “Staying in the Helicopter® – the key to profitable growth in good times or in bad” and this event will give business leaders the opportunity to meet Justin and explore how The Academy can help to transform their business. The Academy for Chief Executives approaches its 21st birthday next year and has forged a strong, diverse community of over 400 dynamic UK business leaders who together promote business excellence and shared learning. To find out more about the Academy for Chief Executives Scotland contact Justin.grace@chiefexecutive.com. Posted in: Business, Business growth, Business Performance, CEOs, coaching, Scotland. ← A Question of Timing?